This week's giveaway features the most lovely shop: Gabrielle Kai! I am sure you have recognized her beautiful photography as it's already been featured on blogs like decor8, vintage indie, design is mine, and lots more! 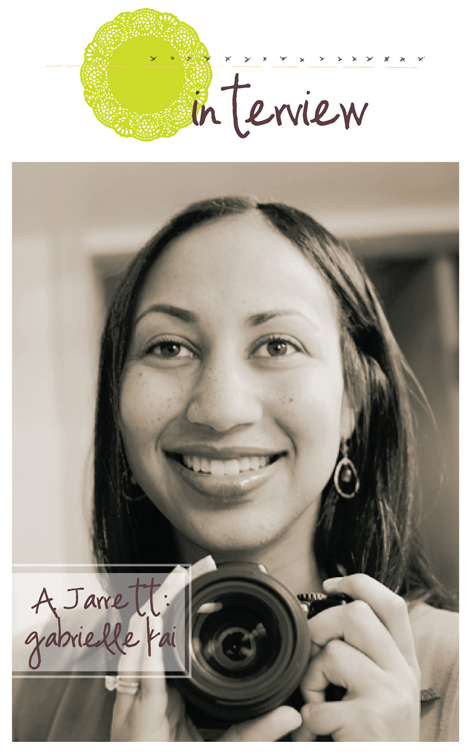 Well Ms. Jarrett has been so generous to donate one of her fabulous prints this week. Can't get enough? You can find her at these other links as well! 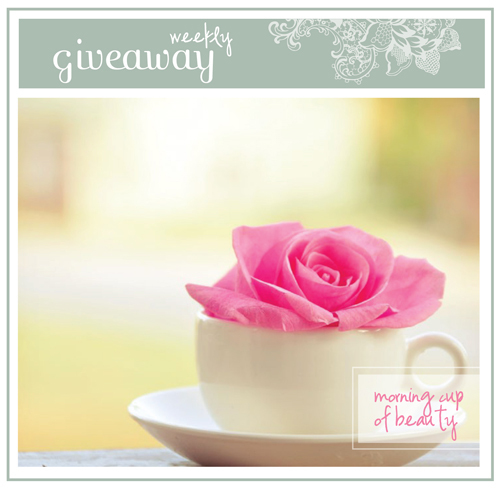 Win: 8x10 of “morning cup of beauty", $30 value! Please share a little about you and your shop: My name is A. Jarrett and I live in Atlanta, Georgia with my husband and two year old daughter. My shop showcases the world as I see it behind my lens – places I’ve been, things I’ve seen, and people I know. I enjoy capturing ordinary objects and experimenting with textures and light to bring out beauty in everyday images. When did you start photographing? Did you go to school for photography or is it all natural talent? ;) I am a primarily self taught photographer. I have always had a love for photography. My daughter was born August 2006, and that love became a passion. At that moment, my life changed. My priorities shifted, and I began to see the world in a new light. I grabbed my camera to capture my new-found view of the world. In her honor, my work is named after my daughter, Gabrielle Kai – my source of inspiration and the spark of my creativity. What inspires you: I have an old soul – I am drawn to things, places, and people that tell a story. Things that have been around longer than I have! I am also inspired by the beauty I see in my everyday life. The entire world transforms when I look through the lens in camera and strive to capture that essence. I should also add that my camera is always with me wherever I go, because I never know when inspiration will strike! Favorite place to travel: Any place near water - I love visiting the warm waters of the Carribean Sea and the Carolina Coast. giveaway ends on monday, july 20 at 8am, pst. I actually LOVE the Morning Cup Of Beauty print! If I am not mistaken, it is actually in my Etsy favorites for a future purchase! PLEASE enter me in this giveaway!! :) I hope I win!!! i love the soft quality of her work. my favorite print is 'be happy' a shot looking up at a ferris wheel. i haven't had much luck with blog giveaways, so maybe this is the one i win! http://ny-image3.etsy.com/il_fullxfull.73171679.jpg- 'open your heart' really caught my eye. I love "be happy", it is very reminescent of childhood! Beautiful work! I love her print titled "Tea Time" from her etsy shop. So pretty! It is so hard to choose but I think my favorite is "softly ever after". I really like vintage photos. My favorite one is "take with you". My fave just happens to be the Morning Cup of Beauty - I love the bright pink color of the flower! I'm between Morning Cup of Beauty and Dreaming. So pretty! I love the vintage style of them all, though. Well done! Oh man, this is some seriously dreamy stuff! So hard to pick a fav, but I'm going to have to go with the vintage pink bicycle! Thanks for this awesome giveaway! her photos are stunning! my favorite is "be happy." i love fairs and carnival rides. it's a throwback to childhood! I LOVE how the flowers are incorporated into so many of her pictures! Beautiful! I really like morning cup of beauty & This woman's work. Ummm, all of them! Actually, it's a tie between Be Happy, Dreaming, and Morning Cup (gotta love cherries). The blue sky in "Be Happy" is now officially my favorite color ever! I love this photo: "vintage pink bike" most. I wish to have it now. I love the "fine new portable" print! they are all so lovely and ethereal! can i pick 3? i love "vintage pink bike," "throw your dreams," and "droplets." Wow, she's such a great photographer! The "tea time" photo is my favourite. It's a tie between "apricots" and "blush"! Your photos are lovely! be happy is my fav. It reminds me of sweet moments in childhood! "so in love" and "the story within" are my two favorites...but all of them are lovely! ohh! i do like the tea time print! My favorite is the Blush print. It's a wonderful setting to look at and daydream in. Thank you two so much for this giveaway! I love so many of her pictures, but "so in love" is my favorite! oh, "dreaming" without a doubt. So lovely!!! oh, I had such a hard time choosing - they are all just lovely! I think the untold secrets is my favorite though. my favorite is the "be happy." first time i was ever on the zipper i was so utterly frightened. now, it's my favorite ride at the fair. Ahhh they are all BEAUTIFUL. But my fav is 'blush' I think. My favorite is "a time to reflect". I love "be happy", it reminds me of the annual carnival growing up. The zipper was always the scariest ride, and only the big kids were brave enough to go on it! They are all so gorgeous! Hard to decide, but I absolutely adore Urban VIntage! I love the "be happy" print... but the "fine new portable" is my second favorite print! It's a tie between "be happy" and "a hot summer day"
I forgot my e-mail: sljeter@gmail.com. My favorite print is 'morning cup of beauty'! I've had my eye on it for some time now. So beautiful - thank you for profiling her work on your blog! My favourite was the Apricot print. What beautiful prints! I certainly have a new favorite shop now. It is so hard to pick a single favorite print, but mirror, mirror is definitely one of my favorites. Such lovely prints! I think my favorites would be either "mirror, mirror" or "so in love". So many of these would be perfect for my bedroom! I love the pop of yellow in the "True Friends" print! I just love the print with the baby blue suitcase and the yellow rose! I love her work. My favourites would be the new tea time print and the collect your thoughts. But I also love all the images with the typewriters and the blue suitcase. They are just lovely. so hard to choose... but i really love pretty in pink and morning cup of beauty! she has such lovely delicate photos! Her prints are really beautiful!! The lighting is fantastic, and she definitely brings out the beauty in all her images. One of my favorites is 'the love letter'...so pretty!! I would, however, be happy with ANY of her prints!! Gorgeous photography! I love her Music print! "i love carolina coast" : and I love it too ! They're all great photos, I've admired her work for awhile. I think my favorite is Rideable Art, the bicycle print from her shop. I love her "be happy" print. Maybe because I'm afraid of ferris wheels and this makes it look so safe and fun? love the 'fine new portable print'! I love 'softly ever after.' So beautiful! Simplicity at it's best! I am such a fan of Gabrielle. There is such a softness in her work that creates this awesome opacity in her prints. My fav though is "Take with you" not only for the photo but especially her description. "~You never really leave a place or person you love, part of them you take with you, leaving a part of yourself behind~" Couldn't have said it better myself. I love Be Happy, followed by So In Love and Take With You. I really love the "Morning Cup of Beauty" print giveaway but if I had to choose another then I would choose either "Tea Time" or "Droplets" even though all of her prints are fabulous! Love her shop! Beautiful work! I love every single one of her photos so it was hard to choose just one. My favorite is the "I love the carolina coast" set but since it's more than one prints, the "be happy" one is a very close second. They are all so so beautiful! Wow...her images are gorgeous!! I like "take with you". I love how she has fresh, blooming, flowers in most of her work. So beautiful! would have to be "be happy." i love the color of the sky & the vintage ferris wheel. this photo just expresses life & how one shouldn't worry about things so much & try to live life to their fullest because life's too short.